We know your system being available to you is your priority, and that makes it ours too. If your system goes down with any fault or technical issue, we work consistently to have it back in operation as soon as possible for you. To do this we live onsite, offering a high level of customer service support and site security and offer an optional regular hard drive backup service to keep your records safe at no extra cost. 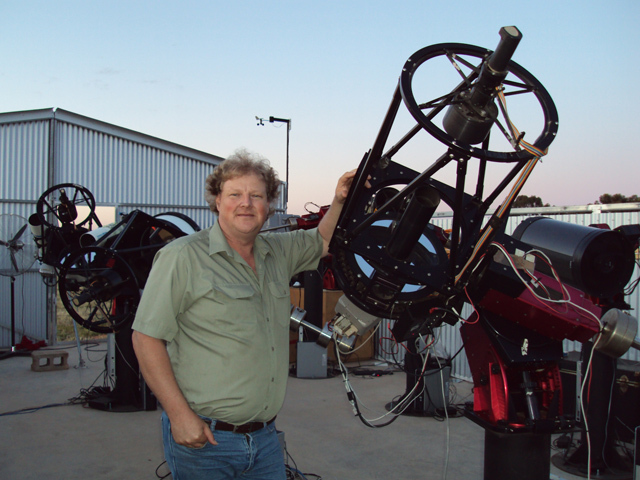 Our team has experienced, working knowledge with the telescope hardware (RCOS, Paramount's, Robo's etc) as well as a range of astronomy software (Sky6, MaximDL, Focusmax, Robo etc). 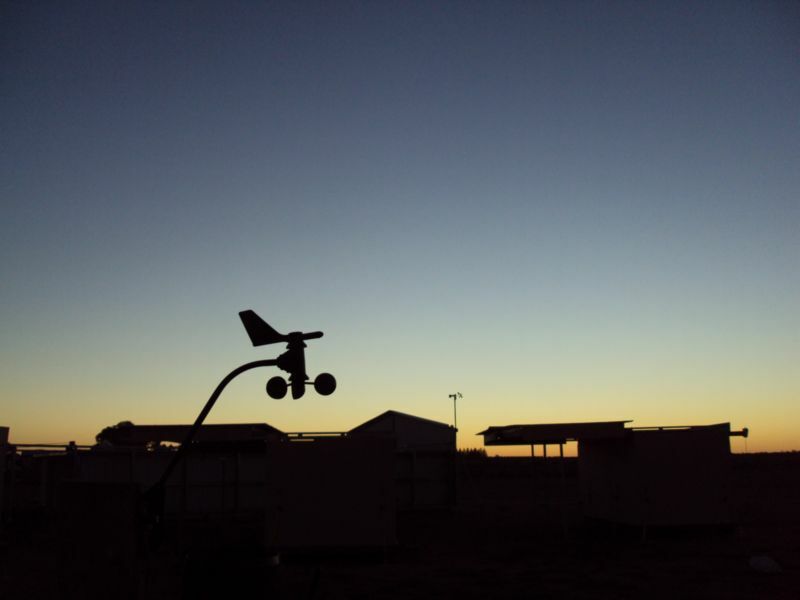 For the occasional really tricky technical issue we have professional access to the service team from New Mexico Skies (NMS) to assist with escalated technical situations. They currently have six separate permanent observatories, plus an assortment of telescopes, along with many accessories such as CCD cameras and guiders. 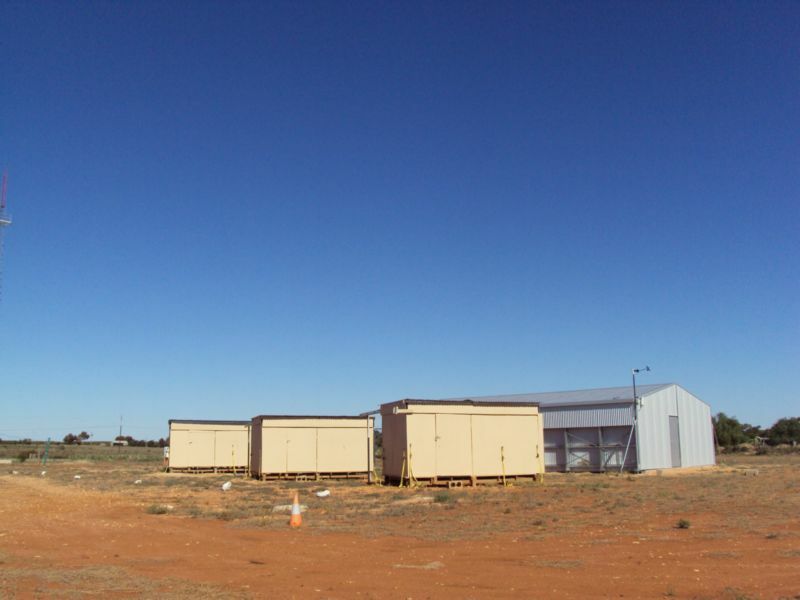 Rolloff roof buildings at Riverland Dingo Observatory. 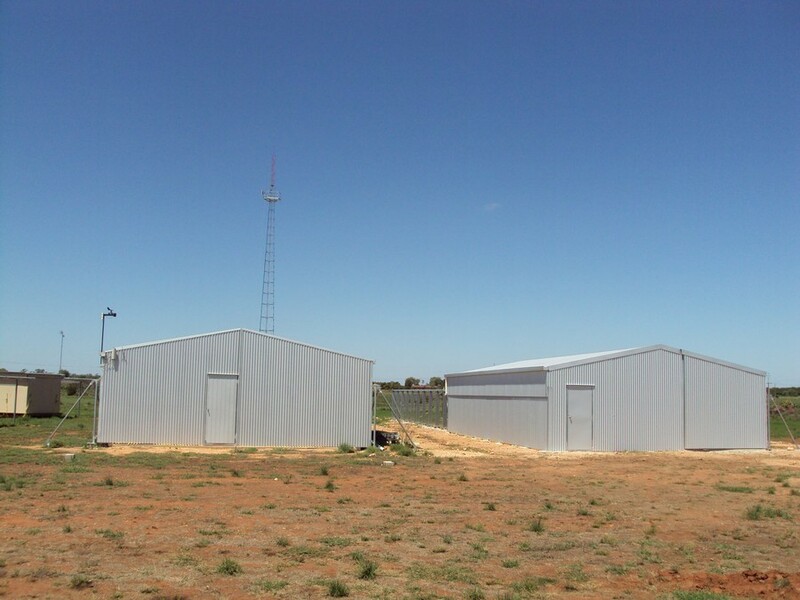 Two large rolloff roof buildings at Riverland Dingo Observatory. Rolloff roof buildings at sunset. 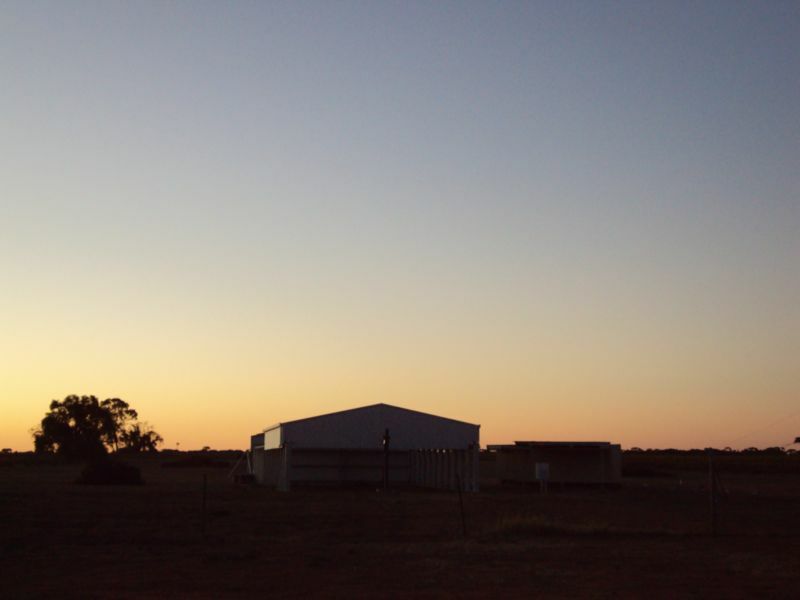 Beautiful sunset at Riverland Dingo Observatory.